As an employer, one of the first pieces of background research you have at your disposal is contained in the job application materials submitted by hopeful applicants. Most notably, the resume. This important summary of a person’s employment history and qualifications can contain important clues to help you identify if the applicant is worthy of becoming a serious candidate for the job. You want to find employees who are skilled, experienced, motivated, of high character, and set for the long term. This is a high bar! Going through a pile of resumes to find these qualifications can mean rejecting many of them fairly quickly. On the flip side, accepting a resume at face value and buying into every claim is simply not smart. According to Forbes.com, some of the most common resume lies revolve around education, employment dates, job titles, and technical skills. Here are 10 red flags to look for when evaluating a resume. Some of these red flags might cause you to cast aside the resume completely, while others will simply require further investigation via in-depth interviews, background checks, or other verification methods. It is worth repeating that resumes, on the whole, should not be taken at face value and that can mean both positively and negatively. The most important point for employers to consider is to look at each applicant from as wide a perspective as possible. 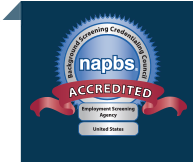 Use background screening to verify claims in order to make your best hiring choices.